Re: Indoor Outdoor Guy Renovations Ltd. 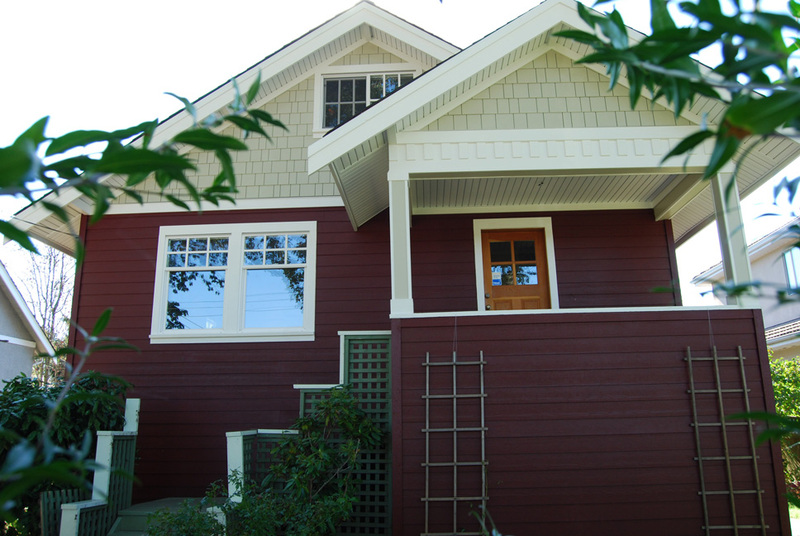 I write with respect to Joseph Neely’s Indoor Outdoor Guy Renovations Inc., who completed a renovation of the exterior of my 1924 house in the summer of 2010. The renovation involved stripping the house of all its exterior envelope (siding, tar paper etc…), and addressing any underlying problems with the structure of the exterior walls and sheeting before rainscreening the entire house, and re-siding it with Certainteed planks and shakes. – As Joseph and I discussed the renovation, even before we entered into a contract with each other, Joseph was very generous with his time as he explained the issues and options with me. I appreciate Joseph’s willingness to share his expertise and advice with me. – Once the work began, Joseph had his crew on-site working steadily on the job until completion. I felt that the work progressed well and as expected. Joseph’s pleasant crew was punctual and consistent, starting and stopping at the same time every day. – Joseph’s handling of neighbours’ concerns was courteous, professional and effective. – On a daily basis, the crew cleaned up the worksite. Although my property was clearly under renovation, the materials and supplies were stored as neatly as possible and the garbage was gathered every day. Upon completion of the job, the crew cleaned up the property. – Joseph kept me informed about the renovation as it went on, and about the issues that he encountered as the job progressed. Joseph involved me in the decisions that had to be made, to the extent that I wanted to be involved. – Joseph worked hard to accommodate my budget while addressing my house’s deficiencies and completing a quality renovation. I did not feel that Joseph ever cut corners that should not have been cut. In closing, I think Joseph Neely and his crew did a wonderful job for me. They didn’t just make my house look fantastic: the work they did underneath the surface is solid and reliable. They gave me piece of mind. I highly recommend The Indoor Outdoor Guy, and invite you to contact me with any questions you might have. 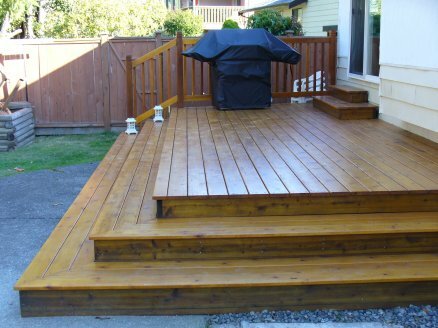 In September 2006 we engaged the services of Joseph and his two-man crew to build a large cedar deck behind our home (a rancher in Westwind). We had seen his advertisement in one of the Richmond local papers, and decided to give him a try. We had little pre-conceived notion of what this deck would look like, so initially we had to undergo an intense planning phase. There were some complications… .for example, an already existing concrete two-step pad the length of the house, an odd-shaped narrow backyard, our grandiose expectations, etc. Much to our delight, Joseph stuck with us through this process. He offered ideas, brought us books to refer to, and really seemed interested in helping us make practical decisions which would please both us as the homeowners and him as the installer. Once the details were ironed out (whew! ), Joseph drew up a detailed contract for us to sign. It proved to be quite accurate, inspite of minor changes which later evolved. We thought that he estimated all the materials, costs, time, etc very professionally. No detail was overlooked. When the actual work was being done, I think we all enjoyed the process. His crew worked efficiently, carefully, and neatly. The men, always cheerful, polite, and approachable, were a pleasure to have here. Joseph himself was very hands-on. Then work was completed in the time frame predicted (of course good weather helped!). Our low deck does not have railing. Joseph and his man created five benches for the perimeter. Joseph returned this spring (2007) to install them free of charge as he had promised. He very much wanted to ensure that we were happy with his work. He is a passionate guy! 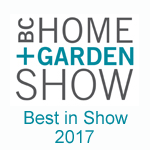 In conclusion, we feel no hesitation in recommending The Indoor Outdoor Guy and his crew. We would use him again. Our deck looks great, and we have only good thoughts about the entire building process. We hired Joseph Neely of The Indoor Outdoor Guy to install a new front door and French doors at the back of our home. Upon agreement to complete the job it was started on time. Joseph gave us an estimate which to our pleasure was greater than the amount billed which is what he said he would do if time to complete the job was less than estimated. We found Joseph and his carpenter to be very efficient in taking out the two doors and replacing them with the ordered doors for completion by his finishing carpenter. The new framing needed was done quickly and well so that our home was secure when they left. We found the finishing carpenter to be very meticulous and professional in framing the two doors. They are both very tight. Upon completion by him they look asgood as wehoped they would. During the sanding after mudding he was particularly careful to ensure that dust from sanding was vacuumed during the sanding, which minimized any dust produced. During his work he was very careful to ensure drop sheets were laid to protect our hardwood floors. I recently called Joseph after getting his number from a neighbour of mine. They did an excellent renovation on my neighbour's home.Joseph was amazing to deal with. He is extremely honest and very knowledgeable about many different things. He took care of all my issues. I highly recommend his company. 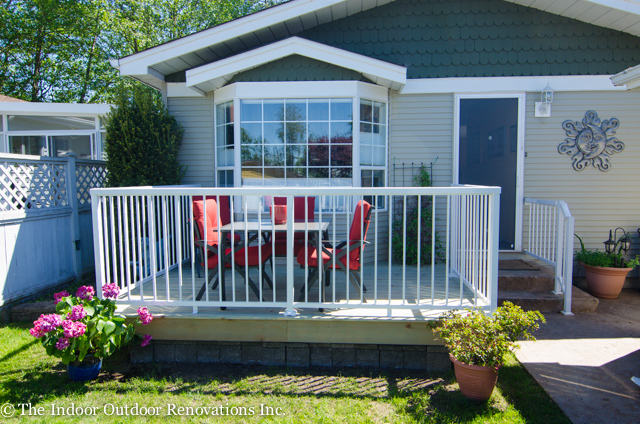 The team at Indoor Outdoor Guy exceeded our expectations for the renovation of our backyard. They took our broken down yard and turned it into the outdoor living space of our dreams. We love our new oasis, and we are back to loving having people over to enjoy the space with us. From the design, through the demolition and site prep, to installation and completion of the job, the team was professional and had an attention to detail that can't be beat!! We definitely recommend Indoor Outdoor Guy to deliver a team you can trust!! Joseph and Jim renovated our aging townhouse kitchen this spring. From the design discussions to completion, the whole project went pretty much without a hitch.Jim's designs included everything we wanted/needed and Joseph and his personable and knowledgeable crew created it for us.We used to always be a bit embarrassed when people came over because of our horrible kitchen. Now it's like living in one of those shows on HGTV.Being in the trades myself and knowing what to look out for, I found Indoor Outdoor Guy to be a class act.Thanks again. We hired Indoor Outdoor Guy to do a renovation to the main floor of our townhouse. From the outset Joseph and Jim had great recommendations and were prepared for the meetings with a variety of suggestions. 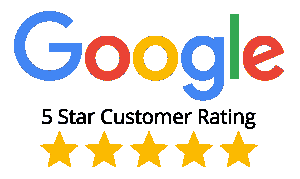 We found them to be honest and reliable, and Joseph kept in touch with us to explain things as the renovation progressed through various stages. The completed work is fantastic; the finishing touches and attention to detail make all the difference. 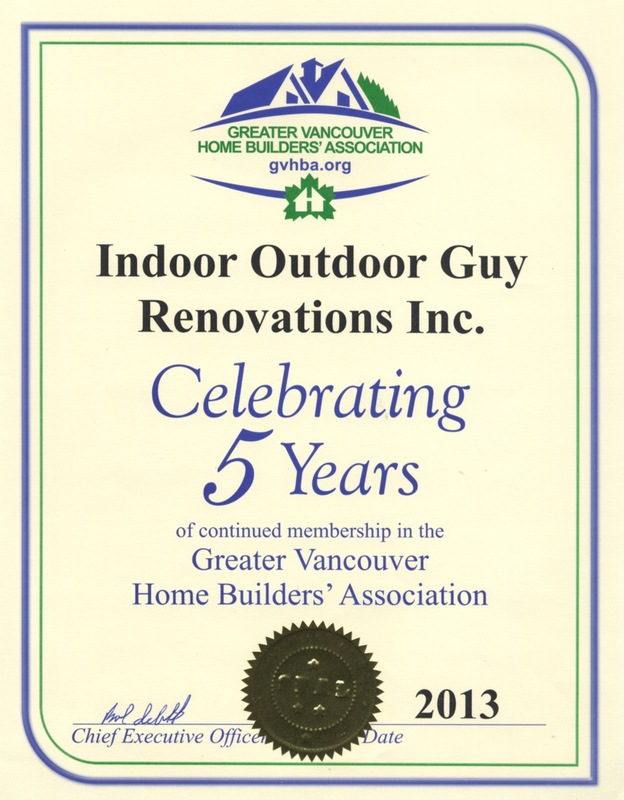 We would not hesitate to recommend Indoor Outdoor Guy. Joseph and his team were very professional and dependable. They did excellent work and made recommendations to ensure that work was done efficiently. 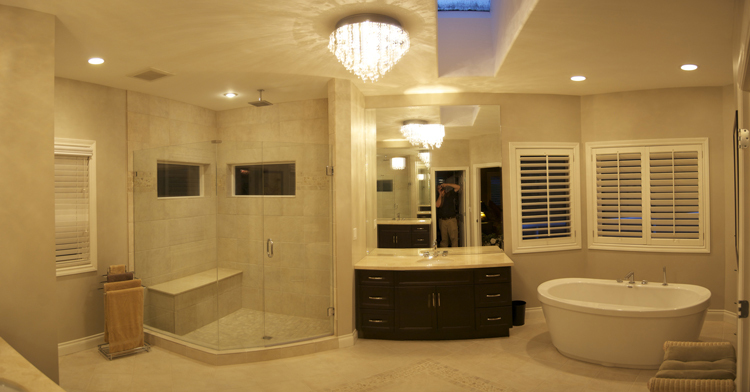 I highly recommend Joseph and his team for high quality, value-for-money renovation work.